Our homes have always been a sanctuary, a place where we could go to escape whatever was happening in the world. Today I fear that our lives are changing and so is the meaning of home, in more ways than we might think. This is one of my articles that's very personal. I've been thinking about how different our homes are (or not) and saw a Facebook post about a new smart phone app, Design Home. At first I was baffled about how you could possibly design a house on a phone? It didn't take long to realize Design Home is about decorating your home. Call me old fashion but I can barely grasp the concept of buying furniture online (big screen), so buying furniture on a small screen makes no sense to me … there, I said it! Would love your feedback on the biggest (size and/or price tag) purchase you've made online without seeing the product in person. When I bought my mattress, I literally spent an hour in the showroom lying down on every mattress (maybe 30), narrowing my choices down until the final pick. When we moved to Arizona, we needed a new bed. A quick stop at Crate & Barrel in Burlington, MA was easy because I trust the quality of their products. Found my bed in about 10 minutes, ordered it and scheduled delivery for the following week, the day before the movers were to arrive. Reading further, it all started to make sense. Maybe it even helped nudge me one step forward in accepting the smart phone revolution, as these gadgets are changing lives. So I'll save my original story starting with my first microwave, to the insight I gleaned from looking at the Design Home app. We're seeking more entertainment to escape from reality and relax in a virtual world, to cope with our busy, chaotic lives. Maybe this is a step beyond the reality TV shows where you live someone else's life, and now you can create your own virtual reality life with a home you've decorated virtually? We're communicating more through apps on our smart phones, from family and friends … to professional colleagues and online stores, which are morphing into virtual stores (forcing traditional brick and mortar stores like Macy's to close 68 stores). We're making more decisions and taking action through apps on our smart phones (or computers?). That means we can do more things anywhere we find convenient, blurring the boundaries between what we normally do at home, at work or at retail locations like stores and restaurants. So what is the meaning of home? With Home Tips focus on our lives at home, in 2017 we'll start researching and sharing how technology is changing the meaning of home. The barriers that once separated our homes from the rest of the world are disappearing. We're buying technology that's bringing the world into our houses, so we can connect to smart home devices from anywhers. Most houses are already connected to the world, as Amazon's Echo (above) illustrates. The questions is … have you stopped to think about the implications? People love gadgets so they're experimenting with smart devices at home, ones you can control from your phone. In fact you've probably forgotten when appliances started adding clocks so look around your kitchen some night, and count the number of clocks lit up. My term for these is “marketing gimmicks” added to sell products without delivering real value (read: Energy Vampires: Find & Tame Them). Using smart apps to manage your home makes a lot of sense. For someone like me who has a tendency to forget to close the garage door, having a way to close the door remotely would be helpful. Really, how often does that happen to you, especially with little ones? The question you want to ask though, is what you're giving up in return for this convenience, because it's changing the meaning of home. Our home is no longer a castle protected by a moat and drawbridge. We give that privacy up when we allow apps to connect to our home's wireless router. 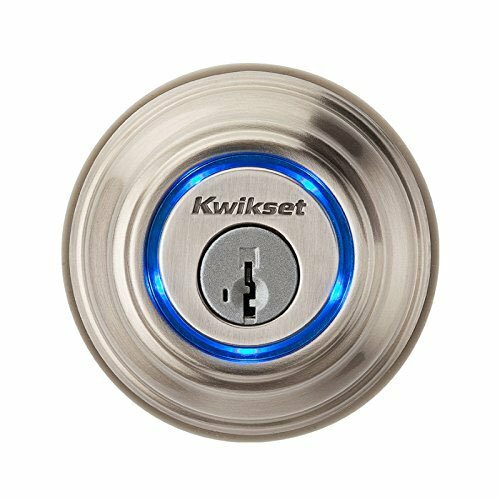 We've already introduced these three smart devices – smart locks like the one from Kwikset, smart locks and Nest's (owned by Google) Learning Thermostat. They can be controlled through your smart phone … from anywhere. Most homeowners don't understand a lot about electronics, so we're learning as we go. It's not easy because manufacturers selling smart devices focus on the highlights and make you to research the questionable aspects of their products. So here are things you ought to be aware of as you decide when and which smart devices to add to your home. To allow your smart phone apps to talk to devices in your home, you have to give them permission to connect through your home network. Once they access your network, you don't have control over what they can see. Remember the recent “Distributed Denial of Service (DDOS)” attack that crippled Netflix, Amazon and others in November 2016? Read: Hacked home devices caused massive Internet outage, to learn more. The apps on your smart phone talk to apps on the smart devices, which in turn control the physical hardware in the device. For example, you can open your front door or raise the temperature using the smart devices above. You don't really know what else these apps in your home are able to do. But I worked for IBM for 29 years before starting my handyman business, and know if they're not already tracking your activities using things like motion detectors, they will be soon … and doing what with the information? Lowe's with their expertise in home products, has developed the Iris Home Automation Pack with the ability to control thermostats, irrigation systems, motion and door/window sensors, cameras and automatic door locks according to one customer review. Technology companies like Apple's HomeKit and HomeSeer's Home Controllers and numerous connectors, to connect anything to … anything. 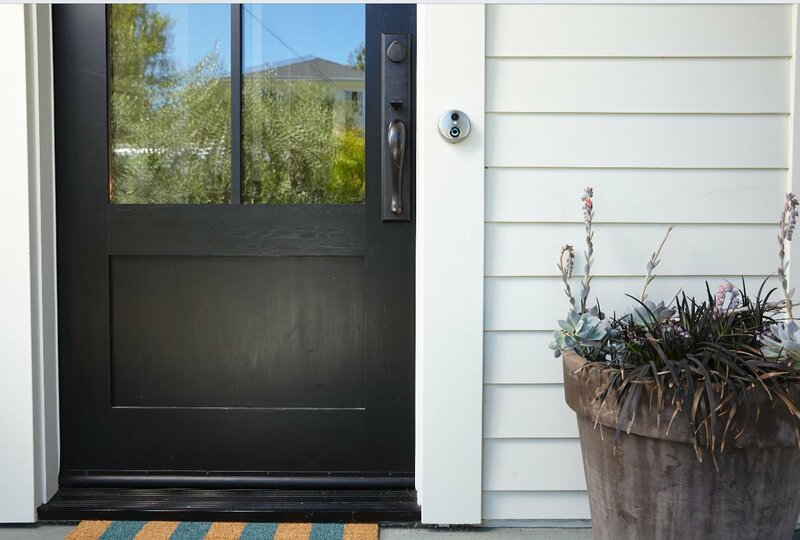 This advantage will provide more flexibility in connecting the devices you want to use, so you don't have to wait for a manufacturer like Lowe's to integrate Skybell for instance. Legacy companies with expertise in home security (think ADT) and/or home entertainment solutions which have been around for years, for those able to afford custom design and hard-wired installation of these systems. Communication companies like Samsung, that aquired SmartThings with their family of control hubs and monitoring sensors. Who: Google, Amazon or ??? Will Live at Home with Us? The players listed above will certainly be players in tomorrow's home. What's not clear is which of the big Internet players will impact the meaning of home more. The big players today are Google, Facebook, Microsoft, Amazon, Apple, Comcast and Verizon. 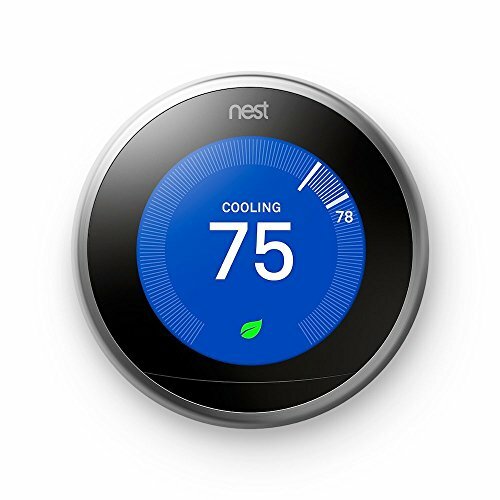 The role they play and how they get there will vary from Google's purchase of Nest to multiple aquisitions in the communication and entertainment industries. 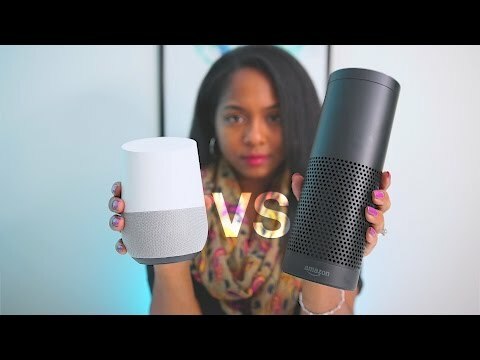 Good video comparing Amazon's Echo to Google Home which came out in 2016. A side-by-side comparison, of the two devices on CNET in November 2016. Tips on protecting your privacy on Amazon Echo and Google Home, from the San Diego Union-Tribune. What smart phone apps have you connected to your home? In this world that is very much obsessed with Social Media, I very much agree that Online Apps are changing the meaning of home. I am sure we have lot of cons to deal with smart home devices, but with technology at its peak we should make the best use of them! Lisa, Just make sure you pick your tools wisely & get familiar with how to turn off connectivity if you’re not using it. The whole deal sounds really convenient and efficient, but there should be a fallback in case things go wild. I’m interested in the whole thing because it can be applied to our office. Dana, I’m at the Kitchen & Bath show this week & had an interesting conversation with the folks at the Bosch booth. Did a video of him telling Alexa to make a cup of espresso. Alexa told him when to put a cup under the spigot so he still had to engage with the appliance, so I have to wonder if automation that saves a few steps to start the brewing process really is that important? We’re already couch potatoes who need more, not less exercise so it’s all a little goofy right now. Well, I don’t have an app to connected to my home but I need one. I think is so necessary. We are moving more and more into the Jetson era. Yeah I think its kinda freaky that everyone is becoming more electronic app prone…but its the way of the world. Its a good and bad thing but it does seem to make life a little easier. Yes, the migration to a connected world is happening, so I’m just trying to warn people to put some thought into what they use before they get into trouble. Hubby and I are not allowed to use any sort of gadgets during playtime with our son. We make sure we always find time to play with him after a long day of work. I do love online shopping more now than ever due to the convenience but I have not fully embraced technology in my home. Fascinating as it appears that very few of us reading my blog, want more technology in our homes. I even draw the line and don’t believe we should share our birthdays because of identity theft. My new web developer recently texted “happy birthday” and I had to explain it was only my Internet birthday, LOL. Emma, Curious which app you’re using? and why you picked the one you have? I do online shopping but for the most basic items and not the big ones like appliances or furniture. I still hesitate on that one until today. I think it’s awesome that we have a this technology at our fingertips but I still like doing something the old way. We do have one of those Echo Dots. But we don’t have an app to connect to the home really. I’m not sure if I trust those completely yet. I do not have any apps that connect to my home. I try to keep as many electronics out of my home as possible. I grew up outside and so are my kids. They hate it and me at times but that’s ok. They will appreciate it later in life. Good for you Marissa. My son limits his 5 year daughter to 30 minutes on the iPad each day … and that’s enough. Most of the games are similar to her hands-on toys, as she loves to build things. I prefer to shop in a real store instead of the online one. My husband loves Amazon, though. We don’t have any apps connected to our home, I guess we haven’t had a need for them yet. Modern technology can give us an easy access to anything. It improves communication, entertainment, lifestyle and it really simplifies our life. But this also increased loneliness where it can neglect our real life. Job loss for employees because they get replaced by a robot. Increased dependency on modern tools that affects the way student uses their brains and reduces the level of creativity.